Single stage Air Compressors are meant for Low Pressure Compressed Air Requirement. 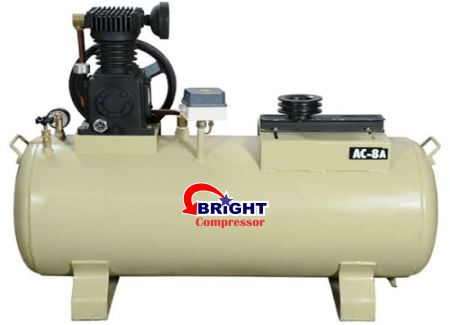 Bright Air Compressor Provide Air Cooled, Reciprocating, Single Acting Air Compressors. Single Stage Air Compressors are mainly used in Powder Coating, Chemicals, Dyes & Intermediates industries. Where compressed air pressure required up-to 100 PSIG.